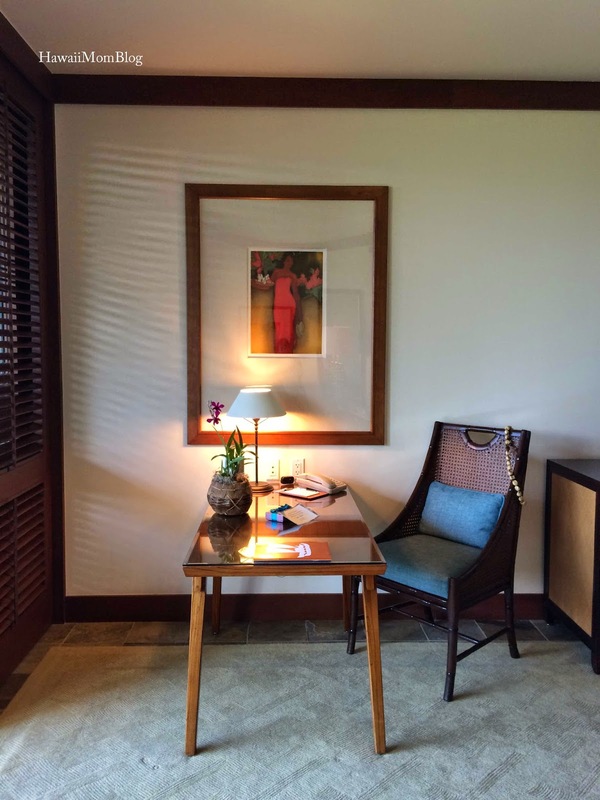 Normally when I write about hotels I briefly go over the type of room we stayed in, but after staying in the `Ohana Suite at the Four Seasons Resort Hualalai at Historic Ka‘upulehu, it was obvious that a post solely focused on the suite was a must - there is just so much to say about this suite! 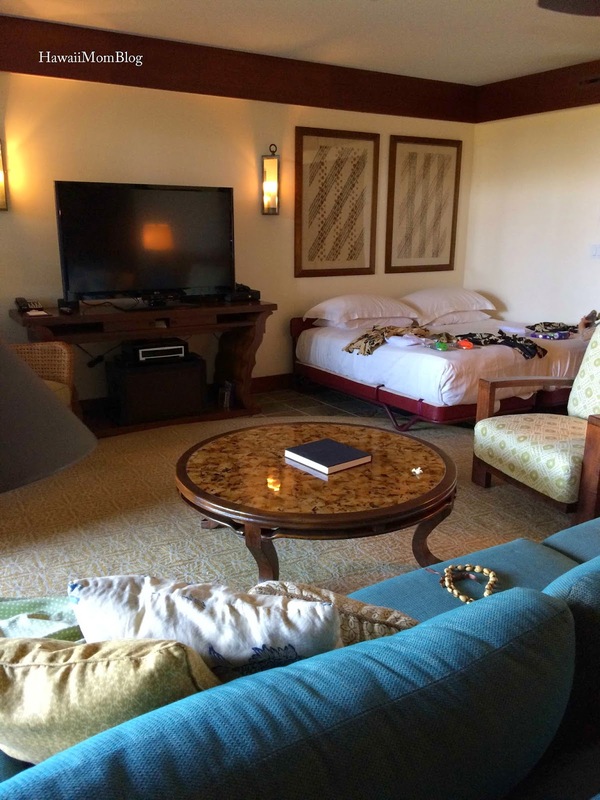 Two `Ohana Suites are available on property, one near the Sea Shell Crescent, the other near the Beach Tree Crescent, providing ample room for families staying at the resort. 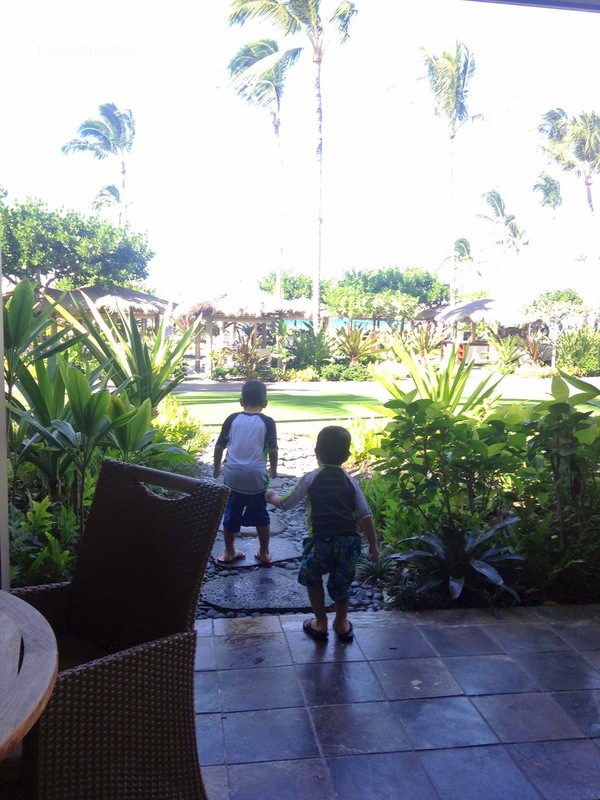 Our suite was near the Sea Shell Crescent, which was the perfect location since it was close to the Keiki Pool, and my kids could run back into the room from the pool whenever they needed a potty break. 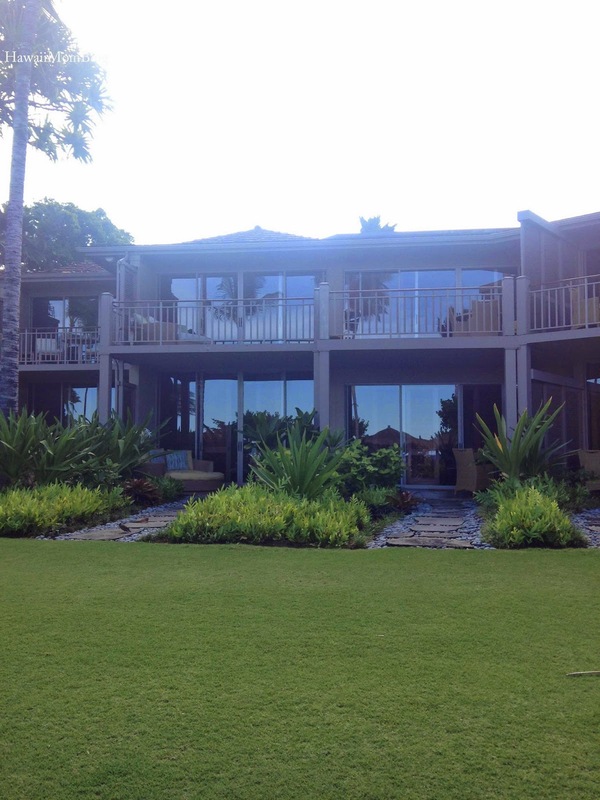 So close to the Keiki Pool! The suite itself was large and cozy, with a living area complete with a table and chairs, a sofa (which housekeeping converted into a bed during turndown service), and a flat screen television. Kids' beds were also in the living area. The large, bathroom included double sinks, a deep soak tub, a stand-up shower, and an outdoor shower. 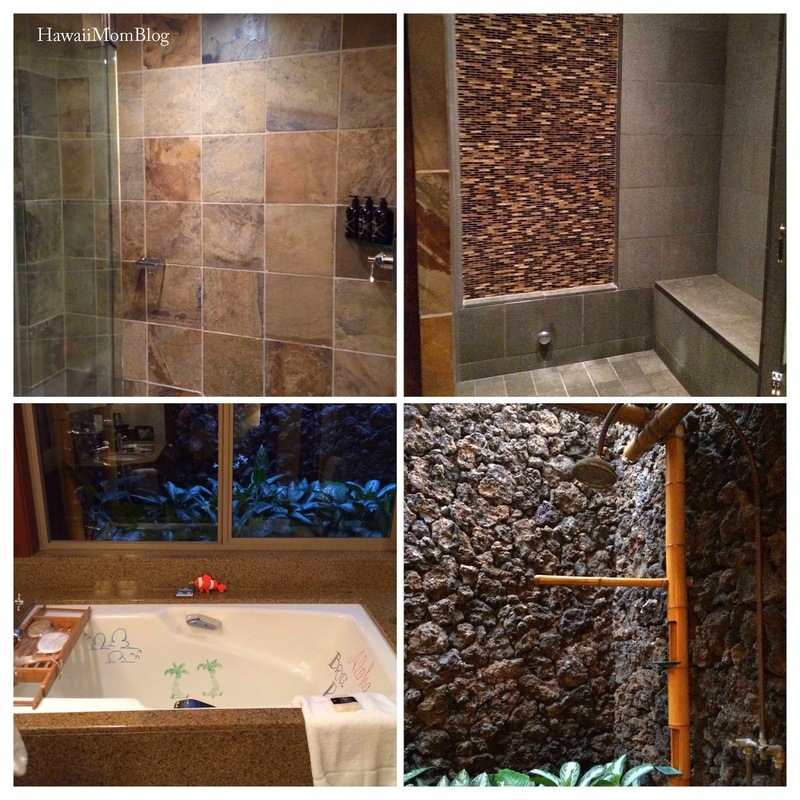 There was also a guest powder room and a steam shower. Throughout the bathrooms were Kawili Body Care products, a Four Seasons exclusive in partnership with L'Oeil du Vert. 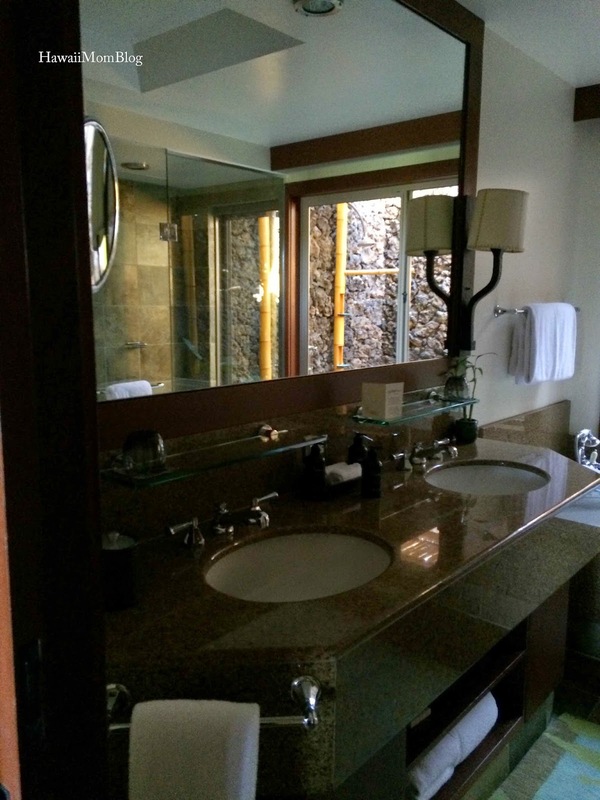 I loved how the resort offered hand soap and body wash - two amenities that I normally have to pack on my own. The bedroom included a king-size bed with a custom bamboo canopy headboard, a second-flat screen TV, a writing table, and seating area. There were numerous features in the suite that excited the kids, such as an Xbox Kinect and games, a telescope, and bean bag chairs. 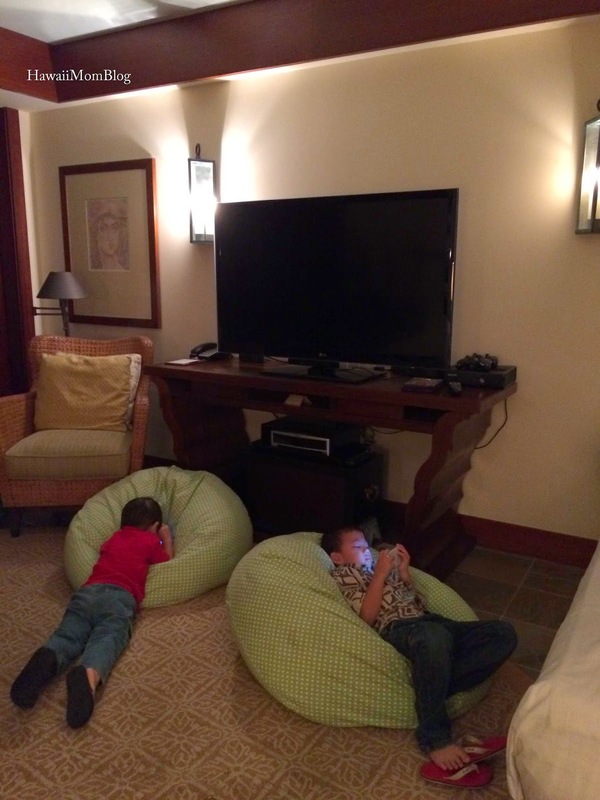 The kids loved the bean bag chairs! Just outside the sliding glass doors of our suite was a large patio with outdoor seating, and a beautiful lawn where kids could play (or in my youngest son's case, chase after bubbles). There were two closets (one walk-in), as well as plenty of drawer space, a refrigerator, drinking glasses, lots of outlets to recharge our smart phones, hooks (to hold clothes, towels, robes, and lei), ceiling fans, light dimmers, hand-towel holders (at a convenient height for my kiddos), and so many other features that made our stay convenient and inviting. Available for use were robes, hotel slippers, and even a tote bag perfect for the pool or beach, and with the suite we also received complimentary Wi-Fi, newspaper, and transportation from/to the airport. I loved the warm and inviting decor, as well as the natural elements and nature-inspired elements found throughout the suite. 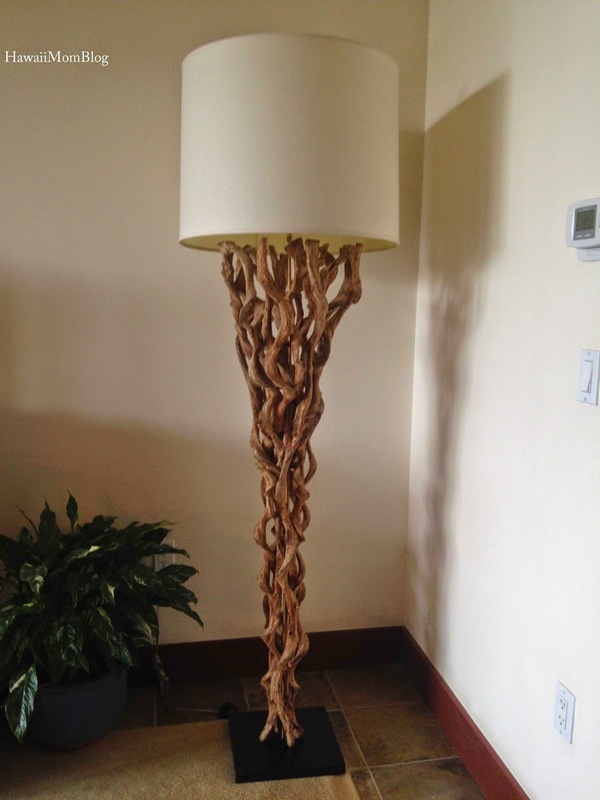 Housekeeping would come twice daily. 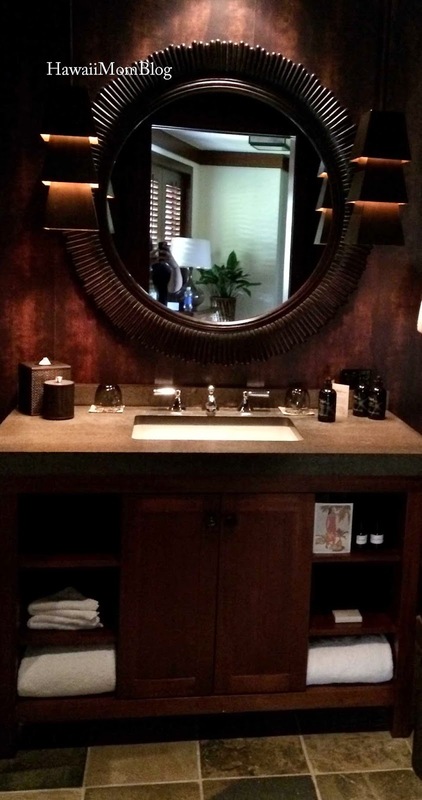 In addition to cleaning and replacing towels, they'd refill the ice bucket and water pitcher during the day, and in the evening they'd also set up a mini coffee bar to to enjoy the next morning, as well as set up the water pitcher, remote, and a reading light on one of the bedside tables. 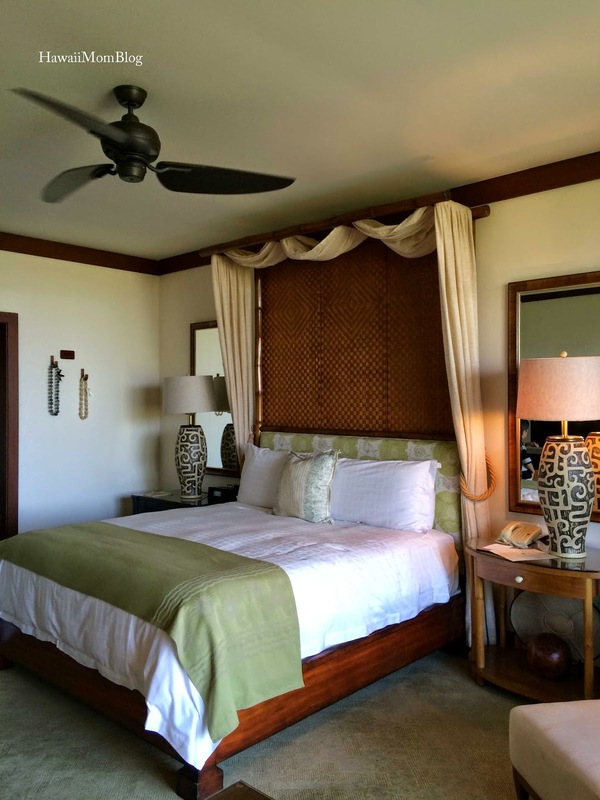 Hualalai offers 243 guest rooms and suites, so whether you're traveling as a couple, a family, or with a large group of people, there are plenty of accommodations to choose from. 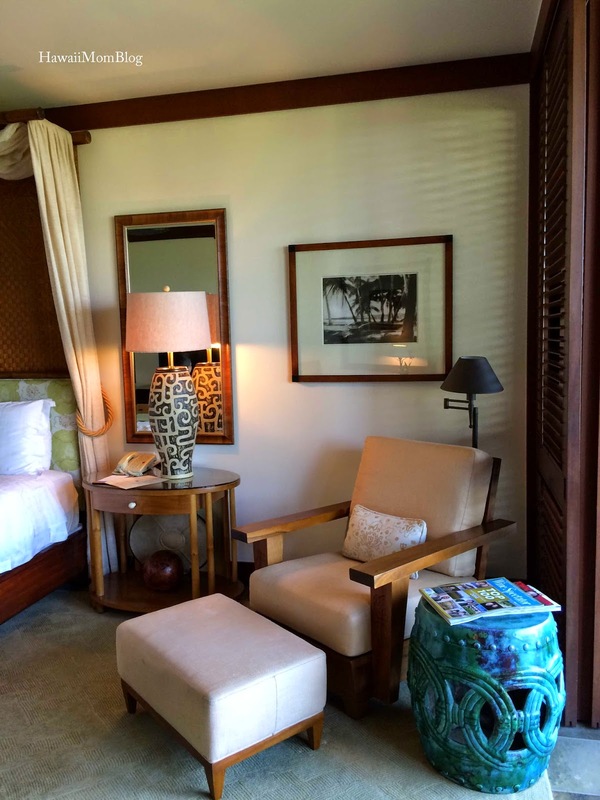 If you will be staying at the Four Seasons Resort Hualalai at Historic Ka`upulehu with your `ohana, contact the resort at 808-325-8000 to get more information about the `Ohana Suite or other room types to suit your needs. 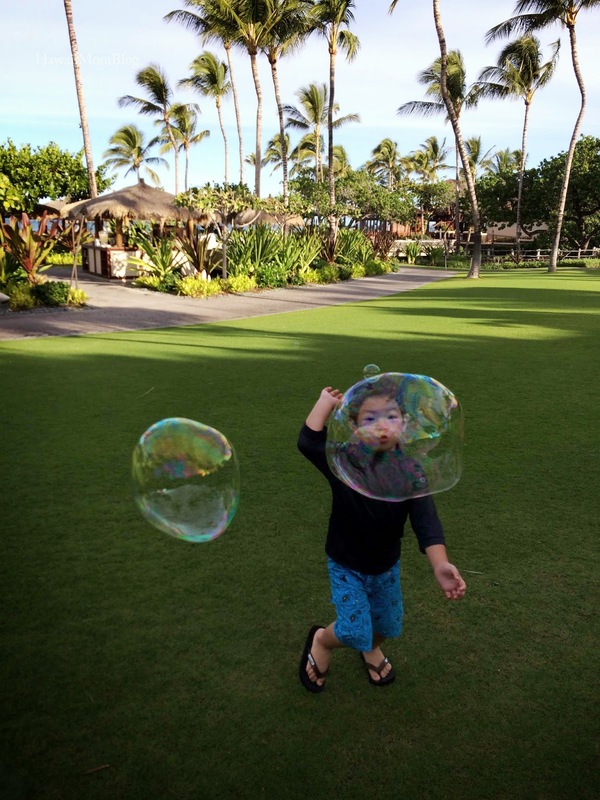 Thank you to the Four Seasons Resort Hualalai for offering a media rate for our stay; gratuities were paid on my own.